There is so much to love about summer fly fishing in Montana. For our Montana fly fishing guides it means flip flips, sunglasses tan, sunny days, and of course fishing everyday. Summer is what we live for: long sunny days, big dry flies, red-hot trout, and lots of happy anglers. Fly fishing on all of our homewaters kicks into high gear and as the song goes: summertime and the living is easy. Great hatches happen daily. Stoneflies, mayflies, caddisflies, ants, beetles, and of course hoppers: big tasty hoppers. The trout are happy and happy trout make for happy anglers. 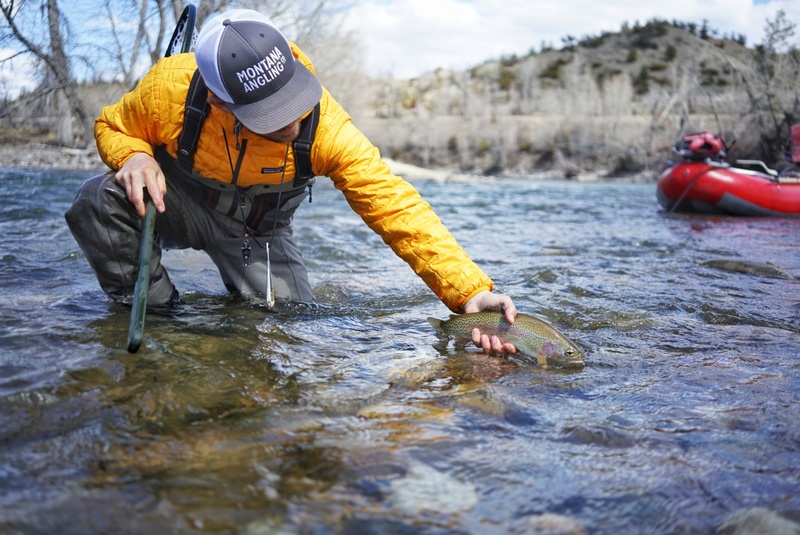 Expect to fish the blue ribbon waters of the Missouri River, the Yellowstone River, the Madison River, Yellowstone National Park, the Paradise Valley Spring Creeks, and smaller stream options during a summer Montana fly fishing trip. Our rivers closer to Bozeman, MT really come alive this time of year and make for can’t-miss fly fishing. For us, summer is classic Montana fly fishing for trout. Our guides are out, working hard, everyday, sharing with anglers from all over the ultimate Montana fly fishing experience. Dryflies, nymphs, and streamers are all effective tactics. Just remember your sunblock.